Touch Board 2 – there are 5 strips of the same texture sandpaper alternating along the length of the board with 4 smooth varnished areas. Touch Board 3 – there are 4 different textures, from slightly rough sandpaper to very rough sandpaper. 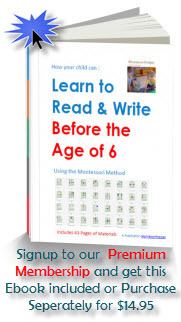 To help awaken the child’s tactile perceptual skills. Present touch board 1 first. Position the board so that the smooth side is on the left-hand side. With eyes averted, lightly brush the tips of the fingers of one hand over the smooth surface, pulling your hand towards yourself from far to near. Say “smooth”. Do the same with the “Rough” section. Invite the child to feel the different textures. Do a three period lesson with the words: smooth and rough. Present Touch Board 2 next. Let the child feel this board. Again, do a three period lesson with rough and smooth. Present Touch Board 3 next. The smoothest sandpaper strip is on the left-hand side with the roughest on the right hand side. Brush your fingertips over the first strip from top to bottom and say “rough”. 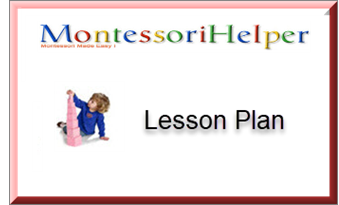 Use a three period lessonto reinforce the comparative and superlatives remembering to always follow the same sequence. If his fingers go off the sandpaper, he will feel the contrast.